Aside from academics and sports ... give your kids the arts. A good education always includes them. The school hosts a free trial week Aug. 20 - 25 for ages 2 - 7 at both Nashville and Brentwood campuses. It’s a great opportunity to see if dance class is the right fit before paying. Register in advance at 615-297-2966, ext. 910, or nashvilleballet.com/childrens-division. Now entering its third year, Nashville Ballet’s Young Men’s Scholarship program “has been very successful,” says Principal Instructor Jon Upleger. The program comprising four levels of male-specific training provides tuition-free training for boys ages 6 - 18. New this year is “Introduction to YMSP,” a bridge from the Boy’s Club classes (ages 3 - 5) to more experienced levels. The fall semester is Aug. 20 - Dec. 15. Learn more and apply at nashvilleballet.com/young-men. Your child can be a part of Nashville Ballet’s beloved holiday tradition, Nashville’s Nutcracker, when it returns to TPAC’s Jackson Hall stage Dec. 1 - 23. Dozens of roles for children ages 8 - 11 (must be 8 years old by Dec. 31, 2018) are available, and the wonderful inclusion of kids in the production gives it unparalleled charm. Open auditions take place Sundays, Aug. 19 and 26 as well as Sept. 9. Previous dance experience is not required. Boys register at 11 a.m. with auditions from 11:30 a.m. - 12 p.m. Girls ages 8 - 9 register at 11 a.m. with auditions from 12 - 1 p.m. Girls ages 10 - 11 register at 12 p.m. and audition from 1 - 2 p.m. (auditions for ages 12 and older are open only to Nashville Ballet students). Bring a $10 non-refundable audition fee and a 4” x 6” full-body photograph of your child. Learn more about the audition process at nashvilleballet.com/youthcast. Local kids rehearse a scene in Nashville Ballet's "Nashville's Nutcracker." Youth auditions for the 2018 production take place Aug. 19, Aug. 26 & Sept. 9. TRY ART FOR FREE AT LITTLE ART HOUSE! Little Art House in Nashville (2014 Acklen Ave.) offers a wide array of visual art classes for children as young as 10 months and as old as 18 years. If you think your child may be interested, you can let him give it a free whirl before signing on the dotted line and forking out your dough. Little Art House hosts free trial classes for its fall semester. The complimentary classes run at various times Aug. 20 - 24, Aug. 27 - 31 and Sept. 4 - 7. Check out the available classes and register for your child’s free trial at littlearthousenashville.com. Emergent literacy is a term describing a young child’s knowledge of reading and writing skills before knowing how to read and write words. TPAC Education focuses on these skills through music, movement and drama through its free Emergent Literacy Class for ages 3 - 5. Teaching Artist Rachel Sumner leads the class at Bellevue Library (720 Baugh Road, Nashville). Choose Tuesdays, Aug. 21 - Sept. 25, or Thursdays, Aug. 23 - Sept. 27. The classes take place from 11:30 a.m. - 12:15 p.m. Space is limited, and advance registration is required. To sign up, call 615-862-5854 or visit the Bellevue Library’s children’s desk. The world of visual art is flourishing in Hendersonville at the Monthaven Arts & Cultural Center (MACC) with more classes available than ever before. Now’s the time to sign up for fall classes (you can sign up for spring 2019, too). Offerings include Mommy & Me, Homeschool, Art After School and Adult options. There’s a wide variety to choose from, and prices vary depending on class option. MACC is located at 1017 Antebellum Cir., Hendersonville. Call 615-822-0789 or visit monthavenartsandculturalcenter.com. The Monthaven Arts & Cultural Center in Hendersonville hosts a variety of Art After School classes August - May. Sign up your theater-loving kid for an after-school class with Center for the Arts’ Center Stage Academy (CSA). Classes run year long with fall, winter, spring and summer sessions. Each eight-week session has a specific theme, culminating in a show. In addition to classes, CSA also offers main stage Broadway-type musicals several times throughout the year for ages 8 - 18. For more info, call 615-904-2787 or visit boroarts.org. 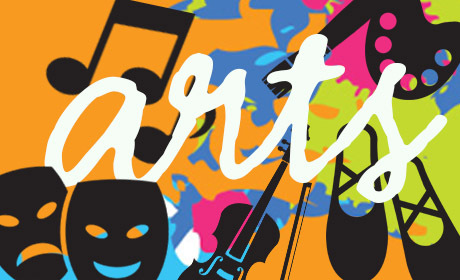 OZ Arts in Nashville kicks off its sixth season on Saturday, Aug. 18 from 11 a.m. - 2 p.m. with it’s popular Family Day celebration. Nashville-based visual artist Beth Reitmeyer is at the helm of the event focusing on the stars above and the water below. Indie pop group ELEL provides soulful sounds throughout the day. Family Day merges science and art in collaboration with Adventure Science Center this year. Look forward to music, artist-led activities and more. “Family Day at OZ is about families coming together for a fun day of arts and learning,” says CEO Tim Ozgener. “The activities and skill levels allow for all attendees to be able to contribute and be part of the overall experience.” Throughout the year, OZ offers a dynamic array of intriguing, thought-provoking experiences for families blending music, dance, theater and visual arts. OZ is located at 6172 Cockrill Bend Cir., Nashville. Admission to Family Day is $25 adults, free ages 12 and younger. Visit ozartsnashville.org. Children of all ages can explore hands-on art-making fun during OZ Family Day on Saturday, Aug. 18. For a summer experience like no other, have your child tested to see if he can be part of the selection for The Governor’s School of the Arts. Gifted 10th and 11th graders in music, visual arts, theater, dance and filmmaking can participate in this four-week residency summer program. Applicants go through a selection process. Classes are held at Middle Tennessee State University in Murfreesboro. Call 615-898-2223 or visit gsfta.com for more on the selection process. This charitable youth arts organization offers Rock Block, in which students ages 10 - 17 learn to play music through a collaborative experience. Registration is open; classes are held at various locations in Murfreesboro and Nashville beginning in September. Call 615-849-8140 or visit yeahrocks.org. A local boy gets a hands-on introduction to the trombone during a Nashville Symphony musical instrument petting zoo prior to a Family Series concert at the Schermerhorn. The Nashville Symphony has an exciting 2018 - 19 season coming up, and there’s cool news for kids. The Symphony’s entire Family Series (formerly the Pied Piper Series) will be in a relaxed, sensory-friendly environment featuring the following: • Kids can make noise • Booster seats available • Raised lighting • Flexible seating • Closed captioning • Relaxed ticket return policy • Kiosk with fidget toys, headphones & social stories • Quiet spaces available • Resource fair in the West Lobby There are four Family Series performances this season: Pirates! The Quest for Blackbeard’s Treasure (Sept. 29); The Grinch Christmas Sing-along (Dec. 1); Sherlock Holmes & the Case of the Missing Music (Feb. 9, 2019); and Once Upon a Time — A Symphony Fairytale (April 20, 2019). All concerts are at 11 a.m., and free pre-concert activities begin at 10 a.m. Individual tickets are $22 - $31. Family Series season subscriptions start at $70. Each season, Nashville Symphony presents free Young People’s Concerts for K - 12 students (adult chaperones are $10). Open to public, private and homeschool students, the concerts are built to enhance in-school learning by way of providing lesson plans, music selections and other materials. This year’s lineup includes: Sound Lab with the Symphony Oct. 23 - 24 • Grades 5 - 8 Symphony in Space Jan. 24 - 25, 2019 • Grades 3 - 4 Beep Beep! The Orchestra Goes on a Field Trip Feb. 27 - 28, 2019 • Grades K - 2 In addition, high school students can attend the following Coffee & Classics Series free of charge: Haydn’s London Symphony (Oct. 12); Cosmos - An HD Odyssey (Jan. 11, 2019); and Spanish Nights (March 22, 2019). To purchase tickets for the Family Series or to reserve seats to any of the Young People’s Concerts, call 615-687-6400 or visit nashvillesymphony.org.